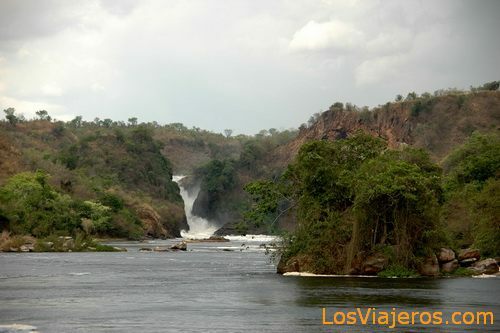 Murchison Falls National Park - Uganda: View of Murchison Waterfalls. Fotos de Uganda: Fotografias de Viajes por Uganda: Parque Nacional Queen Elizabeth, Canal Kazinga, cataratas Murchison, Campala, lago Bunyonyi . Photos of Uganda: Pictures of Travels in Uganda: Murchison Waterfalls, Bunyonyi Lake, Kampala, Queen Elizabeth National Park, Kazinga Channel.